This genus is accepted, and is native to Philippines, Falkland Island, Southern America and Northern America..
Nielsen (1981a) recognised 21 genera in Ingeae (Table 7), although 4 were not given generic names, but were referred to as ‘Gen. A’ to ‘Gen. D’. He recognised the genus Marmaroxylon, although without a generic number, so that the tribe, to the casual observer, appeared to contain only 20 genera. 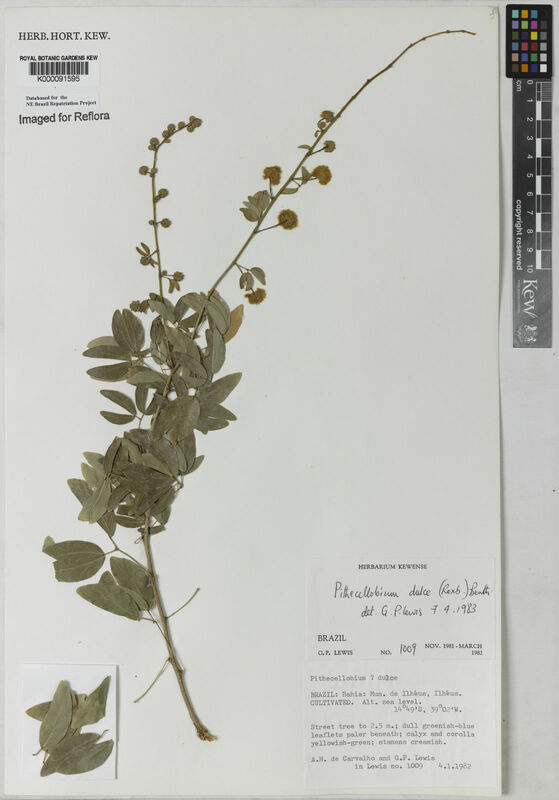 The genus Punjuba appended by Nielsen (1981a) under “genera and species of unknown affinity” is here treated as a synonym of Abarema, following Barneby & Grimes (1996), although we suggest that this may be reinstated as a good genus in the future. Nielsen (1981a) also included Pithecellobium incuriale (Vell.) Benth. as a “species of unknown affinity” but this is now placed in Leucochloron Barneby & Grimes (1996). Polhill (1994) increased the number of genera of Ingeae to 25 (Table 7). He recognised Nielsen’s ‘Gen. A’ as Paraserianthes I.C.Nielsen, ‘Gen. B’ as Archidendropsis I.C.Nielsen, ‘Gen. C’ as Pararchidendron I.C.Nielsen, and ‘Gen. D’ as Macrosamanea Britton & Rose ex Britton & Killip. He placed Faidherbia in Ingeae for the first time, reinstated Cathormion, Samanea and Chloroleucon, and recognised the monospecific Obolinga Barneby (subsequently subsumed into Cojoba by Barneby & Grimes, 1997). 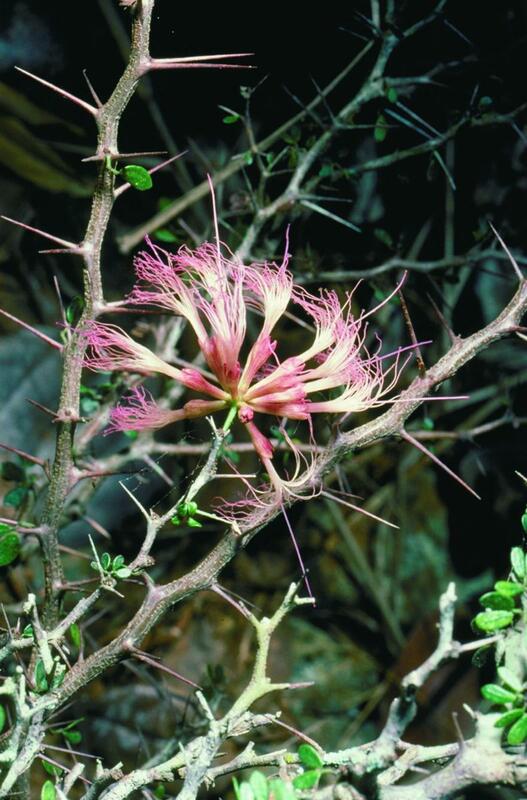 Zapoteca, a segregate of Calliandra described by Hernández (1986), was also added by Polhill (1994). 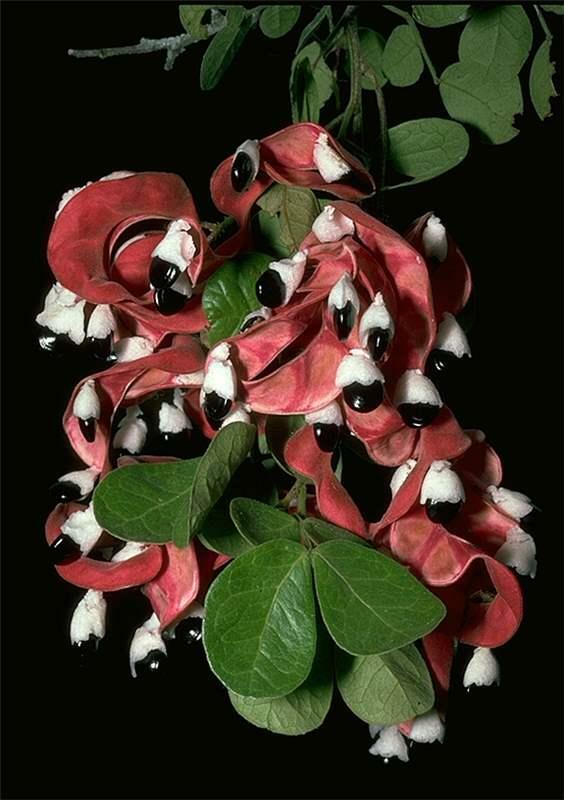 Klugiodendron, recognised by Nielsen (1981a), was considered a synonym of Abarema by Polhill (1994), and Affonsea was placed as a synonym of Inga, a position later confirmed by Pennington (1997). The present treatment of Ingeae recognises 36 genera (24 of which are New World endemics) and (935)–951–(966) species (Fig. 27). We follow Barneby & Grimes (1997) in placing Obolinga as a synonym of Cojoba. Eight genera: Blanchetiodendron, Ebenopsis, Hesperalbizia, Hydrochorea, Leucochloron, Painteria, Pseudosamanea, and Sphinga, have either been reinstated or described as new since 1994 (Barneby & Grimes, 1996). Paraserianthes section Falcataria was raised to generic status as Falcataria (I.C.Nielsen) Barneby & Grimes (1996). 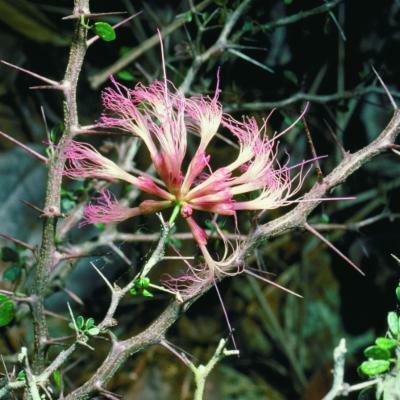 Balizia Barneby & Grimes (1996) is considered a synonym of Albizia following Rico Arce (1999). Guinetia L.Rico & M.Sousa was described as new (Rico Arce et al., 1999, publ. 2000), and Viguieranthus Villiers in 2002. 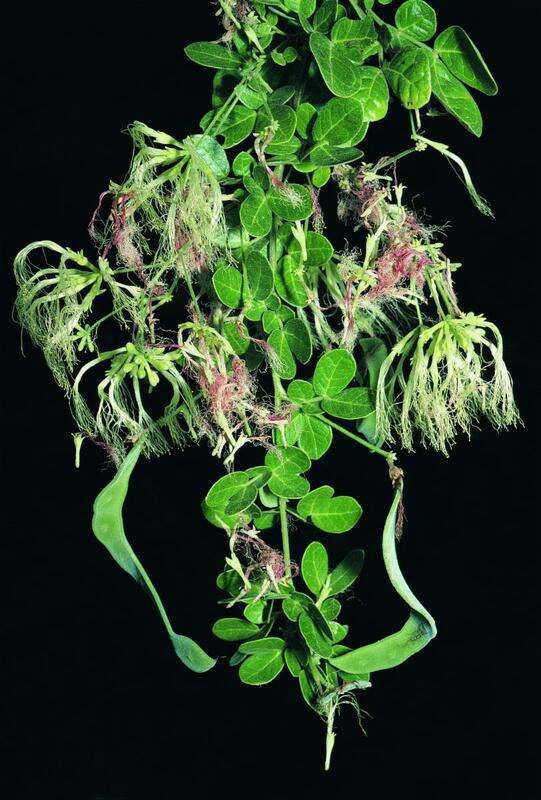 Clarification of generic relationships within tribe Ingeae still suffers from a paucity of molecular data, partly due to a lack of appropriate material for DNA extraction of the recently described and reinstated genera. Luckow et al. (2000) included four ingoid genera in their analysis of the basal genera of Mimosoideae. These formed a group together with Faidherbia (then still considered a member of tribe Acacieae, although moved to Ingeae by Polhill (1994)). Barneby & Grimes (1996) concentrating on neotropical taxa, divided American ingoids into five informal alliances: the Abarema-, Samanea-, Chloroleucon-, Pithecellobium- and Inga- alliances. 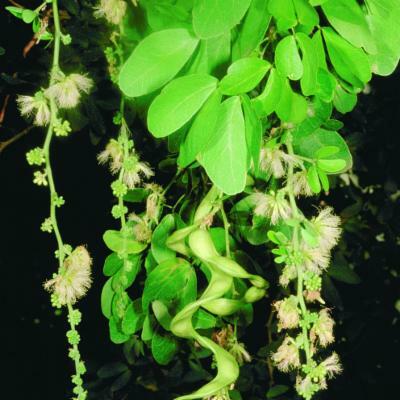 Genera of uncertain position within their system included Albizia, Enterolobium and Cedrelinga. Lysiloma was considered as intermediate between tribes Ingeae and Acacieae. Luckow et al. 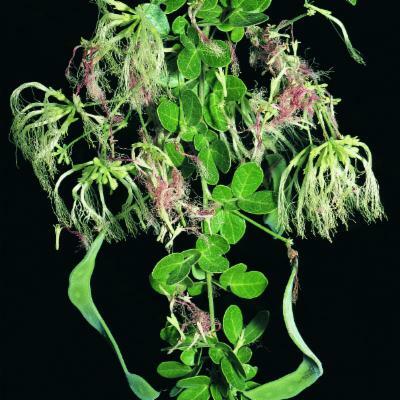 (2003) carried out a phylogenetic analysis of the Mimosoideae using chloroplast DNA sequence data. They treated sixteen of the 36 ingoid genera recognised in this account, including Faidherbia, but concluded that relationships within the Ingeae are generally unresolved and that, with only a few exceptions, clades within the ingoid part of their topology were not strongly supported. 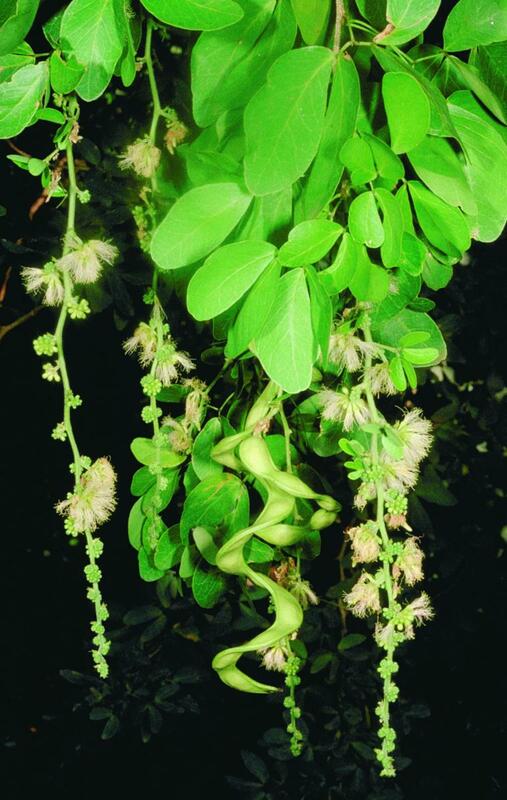 Albizia proved to be polyphyletic, supporting the findings of Grimes (1999). Any new classification of the Ingeae will require sampling of all the genera not included by Luckow et al. (2003) and more extensive sampling of the larger and putatively non-monophyletic genera. Relationships between ingoid genera and the various elements of a polyphyletic Acacia have still to be resolved, although Luckow et al. (2003) have an Acacia subgenus Phyllodineae clade nested within the Ingeae, suggesting that at least part of Acacia sens. lat. (the Australian phyllodinous acacias) might be included within the Ingeae in the future, or that the Ingeae, as currently circumscribed, may have to be broken up into several distinct suprageneric taxa. 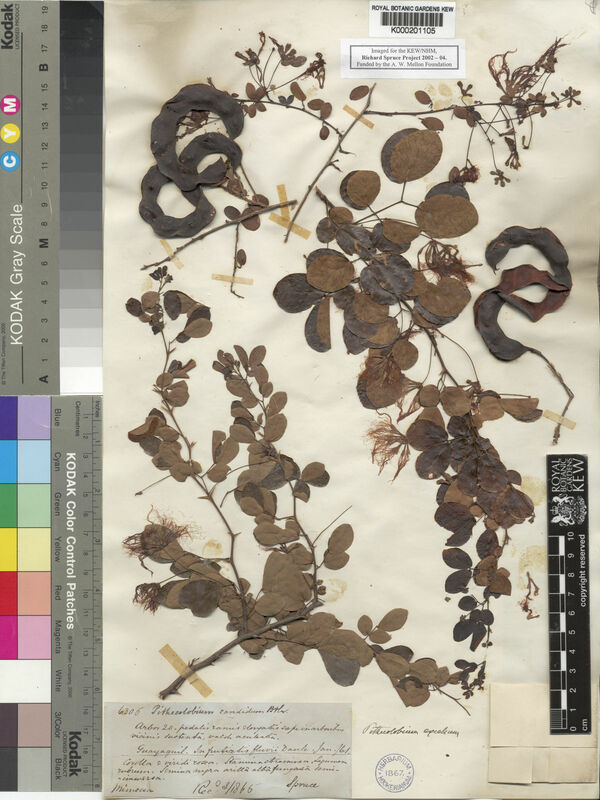 Such suggestions are premature as 20 ingoid genera, including Abarema, Archidendron, Pithecellobium, Zygia and the largely Madagascan Viguieranthus have not yet been included in molecular analyses. Seeds unwinged, without endosperm, often arillate. Aruba, Bahamas, Belize, Brazil North, Brazil Northeast, Brazil West-Central, Colombia, Costa Rica, Cuba, Dominican Republic, Ecuador, El Salvador, Falkland Is., Florida, Guatemala, Guyana, Haiti, Honduras, Jamaica, Leeward Is., Mexico Central, Mexico Gulf, Mexico Northeast, Mexico Northwest, Mexico Southeast, Mexico Southwest, Netherlands Antilles, Nicaragua, Panamá, Peru, Philippines, Puerto Rico, Southwest Caribbean, Texas, Trinidad-Tobago, Turks-Caicos Is., Venezuela, Venezuelan Antilles, Windward Is. 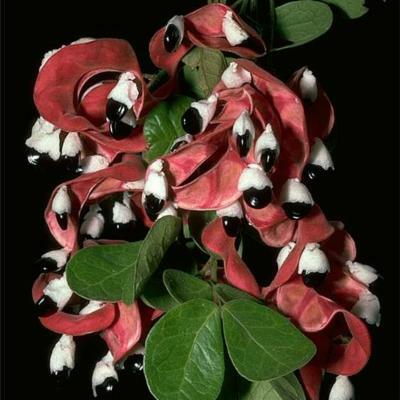 Pithecellobium hymenaeifolium (Humb. & Bonpl. ex Willd.) Benth.